"We need to align our instruction more closely with the tasks students face when composing and reading, by including practice in analyzing relationships between words, phrases, clauses, sentences, paragraphs, sections, and the work as a whole." from "How to Teach Grammar, Analytical Thinking, and Writing: A Method That Works" by Lynn Sams (English Journal, January 2003). Embedded in this quote is the notion that the process of writing is laden with grammatical rules, that better we know the structure of a language, the better we will master writing. I agree, but with two caveats. First, for work-related writing, we need to know our job and the concerns of our readers about our job before all else. Then, of course, we need to know how to write to those readers. Second, I do not take Sams's comment to mean that analyzing syntactic relationships among parts of speech and sentences is the only way to learn writing. Combinations of whole language and in-context instruction as well as whole language and phonics, can also work. Nevertheless, understanding the grammatical structure of language does help good writers in creating paragraph emphasis, sentence variety, suspenseful sentences, and interesting word choice. 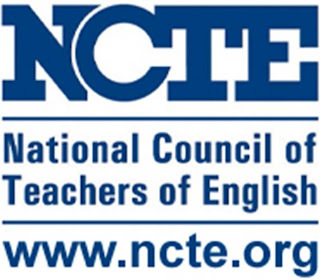 You can read more about this article and other ideas about writing instruction at the National Council of Teachers of English website. Struggling with Words, Part 5: Preventive or Preventative? When suggesting to writers that they use preventive rather than preventative, some will argue with me by saying that if preventative is in the dictionary, then it's a word. 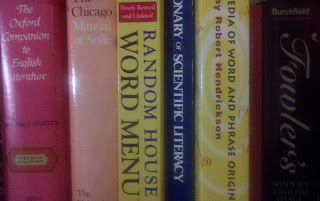 The argument should not be over whether a word is in the dictionary. Starting with vulgarities, we wouldn't use many words appearing in the dictionary. So the argument should be whether a word is acceptable in your company or industry. I just found preventative in Oxford, Merriam-Webster, and Dictionary.com, but they all preferred preventive. The simpler word will nearly always be the better choice. A mobile phone (term) is a telephone (type) with access to a cellular radio system (function) for use over a wide area without a physical connection to a network (value). The value is where technical writers, such as engineers and scientists, get caught up in worrying over whether they are saying more than they need to. When writing to fellow subject-matter experts, they rightly believe that adding the value is wordy at best and intelligence-insulting at worst. Not so when writing to a general audience. So always consider your audience when deciding whether the value is necessary in a definition. Books like Performance Appraisal Phrase Book abound to help managers capture the best words that describe an employee’s organizational contributions and personal challenges. With all these available resources, then, why do so many supervisors tell me that the employee performance review is the document they most dread writing? 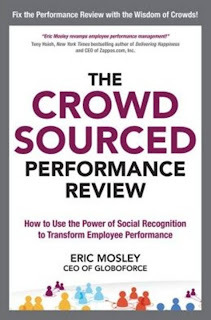 Eric Mosley’s The Crowd Sourced Performance Review has a reasonable answer to that question and an innovative solution to the problem. It’s not so much that writing the performance review is hard because of its linguistic biases, generalities, inaccuracies, limitations, and redundancies. In fact, those major annoyances are the symptoms, not the cause, of the problem with traditional performance reviews. At its heart, insists Mosley, the evaluation system itself makes little sense. Lessons learned from social media suggest that there’s a better way. While tweeting protesters during the Arab Spring of 2011 and uprising in Turkey of 2013 make the most headlines, multinational corporations and smaller businesses alike have long used social networking platforms to get out their brand to the world. The consensus is that through Facebook, LinkedIn, Twitter, and the like, companies can tap into the wisdom of crowds and increase their brand recognition, bottom line, and community goodwill. Mosley reports that some companies have begun to see the value of internal social networking in their performance reviews. By “crowdsourcing,” management can get insights from an employee’s colleagues, thereby eliminating the single source of opinion, the employee’s manager, which has been at the heart of the traditional system since its inception. A diversity of opinion and a greater range of assessment areas should result in a more accurate, comprehensive, and worthwhile employee review. The author painstakingly covers the undeniable flaws of the traditional review system through numerous examples from the corporate world. He also shows how crowdsourcing currently works and how it can be folded into any organization serious about its employee development program. Skeptics may claim that crowdsourcing might amount to nothing more than a popularity contest, but The Crowd Sourced Performance Review recommends several safeguards against that scenario and concludes quite practically that crowdsourcing be used in tandem with the traditional system. With the technology available for providing key insights in revolutionizing a long-broken evaluation system, crowdsourcing is positively worth serious consideration. This book lays out a clear blueprint to get started.